The hotel features 236 contemporary guest rooms and suites with stylish furnishings, private bathrooms, and modern amenities, including cable television and complimentary wireless Internet. Luxury suites include separate seating areas and bathrooms with whirlpool tubs, while all rooms have fridges, microwaves, and coffeemakers for maximum convenience. First-class facilities at the hotel include an on-site restaurant, a heated outdoor swimming pool, and a 24-hour fitness room, and a fully equipped business center offers business travelers a place to work in peace. 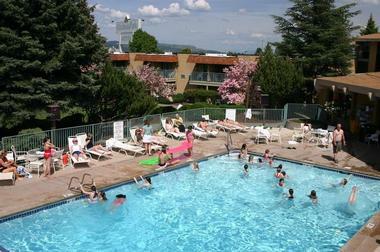 The hotel also features over 17,000 square feet of function and event space for all manner of special occasions. 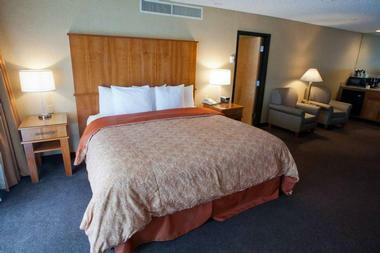 Mirabeau Park Hotel & Convention Center features 236 spacious guest rooms and suites in a variety of sizes and layouts, ranging from premium business king rooms to double queen rooms with private bathrooms, stylish furnishings, and modern amenities. Most rooms have either a balcony or patio with beautiful courtyard or mountain views and handicapped-accessible rooms are available upon request. 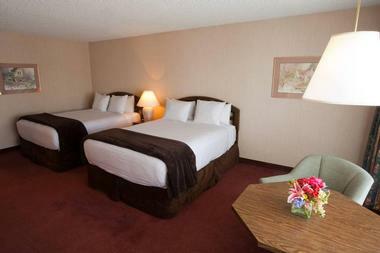 Executive accommodations include Executive King Jacuzzi Suites, Executive King Suites, and Hospitality Suites. Executive King Suites and Executive King Jacuzzi Suites feature king-size beds with pillow-top mattresses, imported linens, and foam or down pillows, and private bathrooms with walk-in showers soaking tubs, plush towels, and deluxe bath products. Spacious sitting areas have Cherrywood furniture and work desks with chairs, and modern amenities include air-conditioning, 27" satellite televisions, fridges, microwaves, and coffeemakers, hairdryers, irons and ironing boards, and complimentary wireless Internet. Hospitality Suites are spacious, roomy suites that are ideal for small private gatherings of people, and feature conference tables, fireplaces, wet bars, fridges, and microwaves. Max at Mirabeau Restaurant and Lounge is a modern dining establishment that offers all-day dining and a full service bar with live music and dancing. Open for breakfast, lunch, and dinner, Max at Mirabeau serves a creative menu of American cuisine and a comprehensive selection of fine wines, craft beers, and imported spirits from around the world. 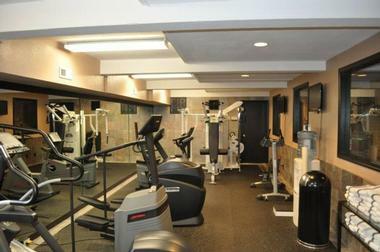 Amenities at the Mirabeau Park Hotel & Convention Center include the award-winning restaurant ‘Max at Mirabeau’, an elegant lounge and cocktail bar, a 24-hour fitness center, equipped with the latest exercise equipment and technology, and a fully equipped business center. 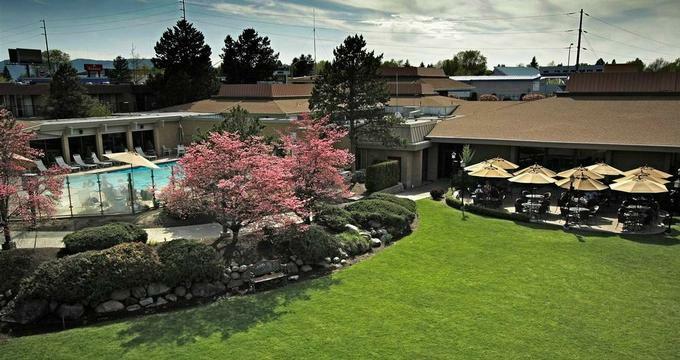 Other amenities and services include a year-round outdoor heated swimming pool with heated deck and hot tub, a beauty salon offering pampering and indulgent beauty treatments, an on-site ATM and gift shop, and dry-cleaning and laundry services. The hotel also features over 17,000 square feet of function and event space for all manner of special occasions with free parking available for guests, as well as complimentary wireless Internet throughout the property and free local calls. Additional services at the hotel include a 24-hour front desk and concierge services, luggage storage, a free shuttle bus and free parking. Activities include a golf course within three kilometers of the hotel. The Mirabeau Park Hotel & Convention Center offers an idyllic setting for special occasions such as weddings, receptions, anniversaries, birthdays and other events. The hotel offers a range of settings from romantic outdoor venues to elegantly decorated ballrooms along with hospitality services such as catering, event planning and management, and more. The Mirabeau Park Hotel & Convention Center also offers over 17,000 square feet of meeting space for conferences and gatherings. Spaces can cater for up to 600 guests and are fully-equipped with the latest technology including complimentary wireless Internet, as well as professional banquet and catering staff. 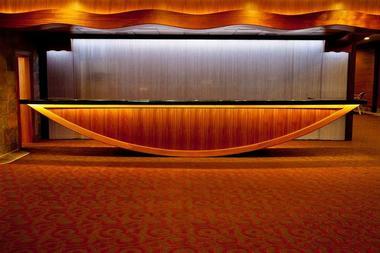 The hotel’s in-house audio visual team takes care of all audio and visual needs during meetings and conferences. The City of Spokane Valley is a family-friendly community that offers a variety of things to see and do for all ages. Perfectly positioned for exploring the beautiful lakes and towns of northern Idaho, Spokane Valley is set along the banks of the meandering Spokane River and boasts an array of outdoor and recreational activities such as hiking, mountain biking, wildlife watching, fishing, kayaking, and rafting. Other sporting activities include world-class skiing during the winter, golf in the summer, and hiking the famous Centennial Trail that stretches for 37 miles to the Idaho border.